A cadet at West Point Military Academy in New York surprised his family by coming home for Thanksgiving in southwest suburban Romeoville. ROMEOVILLE, IL -- A cadet at West Point Military Academy in New York surprised his family by coming home for Thanksgiving in southwest suburban Romeoville. 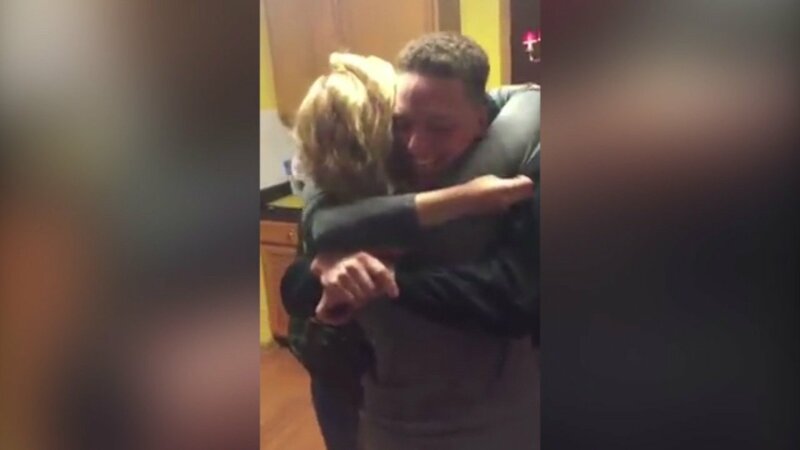 West Point Cadet Rex Scott was welcomed home with surprised screams and hugs from sisters Donna and Victoria. Rex's mom, Kathy Scott, told her daughters that Rex wouldn't be able to make it home for Thanksgiving this year, but that he would be home in December for Christmas. Rex, Donna, and Victoria Scott shared a big group hug. Even the dog tried to jump in!